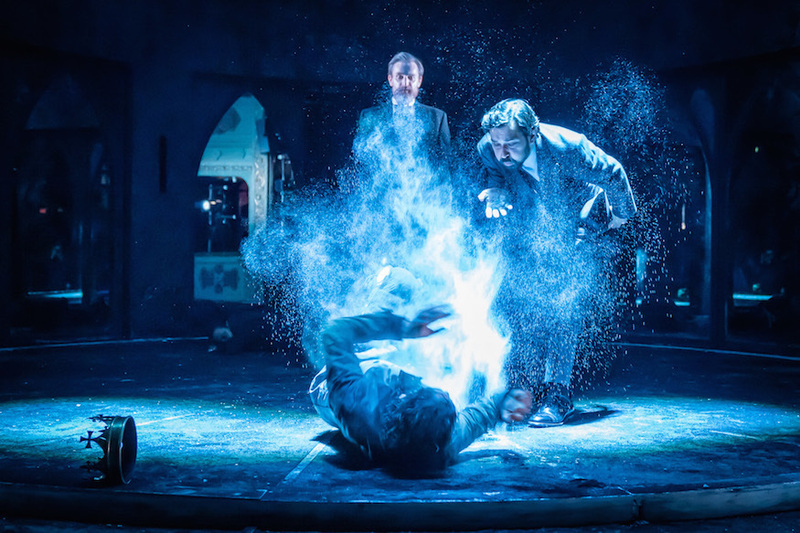 The first play staged for 80 years at the recently-restored Alexandra Palace Theatre is as atmospheric as the imposing venue itself. 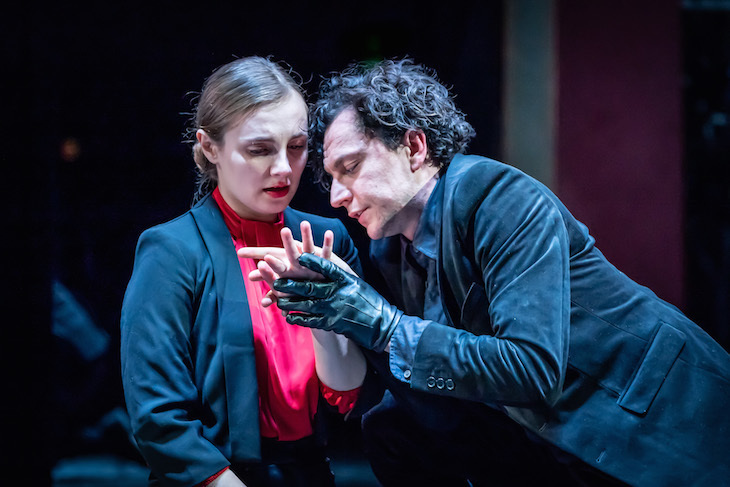 A co-production with Headlong, this modern-dress version of Shakespeare’s Richard III is thrilling and dynamic. A show of two halves, each equally bloody, it charts the ruthless rise of Richard, Duke of Gloucester, to the throne of England, then his precipitous fall ending in his demise at the hands of Henry Tudor at the Battle of Bosworth. 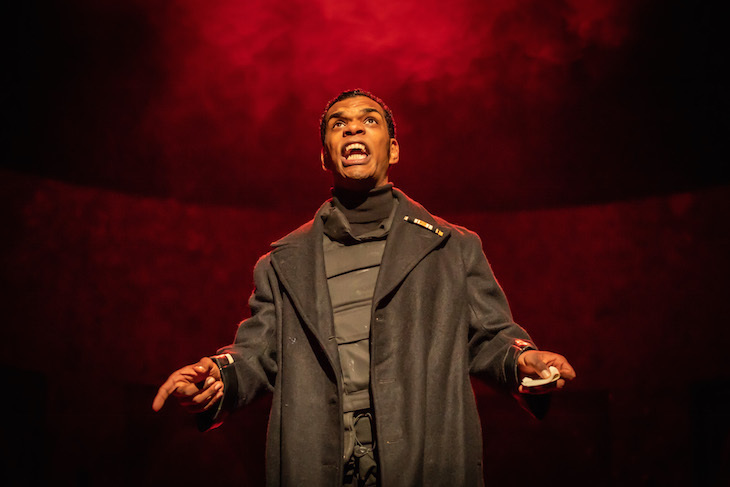 Director John Haidar has had the clever idea of beginning the show with the end of Henry VI Part 3, when Richard stabs Henry to death in the Tower of London. The new king Edward IV may look forward to “our lasting joy”, as the House of York has defeated Lancaster in the Wars of the Roses, but the cycle of violence continues. As Henry has prophesied, the enemy is now within as Richard proceeds to wreak havoc. Each time Richard has someone murdered, the spirit of Henry appears to lead the victim away, until all the ghosts return to haunt Richard on the eve of his death. It’s a full-blooded show, with each killing accompanied by a buzzing red flash, while the cast is smothered in dry ice. The glittering crown hovers tantalisingly in mid-air during the first half, but at the end it falls onto the stage with Richard crawling on his belly to grab it one last time. 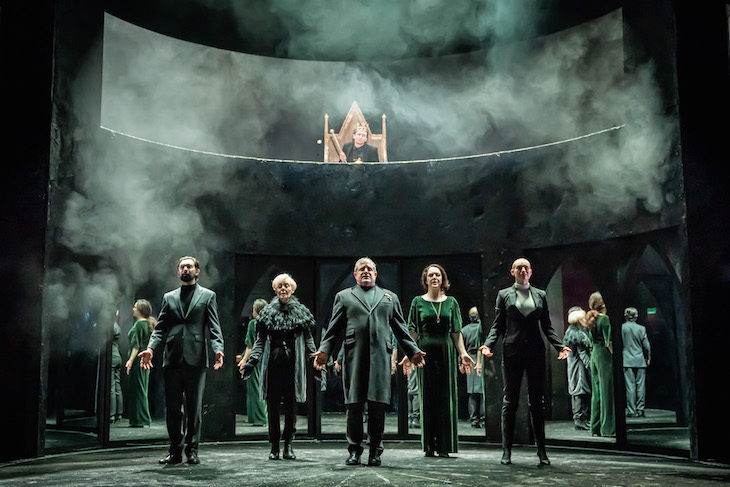 Chiara Stephenson’s design of mirrored gothic doors reflects multiple fragmented images of the cast, with Richard’s final moment staring at his monstrous self utterly alone. Tom Mothersdale gives a tour de force performance as the psychopathic Richard, a crooked, restlessly energetic figure lurching with an iron leg brace who is maniacally determined to prove himself as top dog. Mothersdale suggests a narcissistic self-loathing, laced with mordant humour in his gloating addresses to the audience. This is a man driven by bitterness, not just at his disfigured body but at the way he has been belittled by others. But seizing the crown is a short-lived exultation because it will prove impossibly hard to keep. Richard III, Alexandra Palace Theatre, Alexander Palace Way N22 7AY. Tickets £27.50–£46.75, until 30 March 2019.